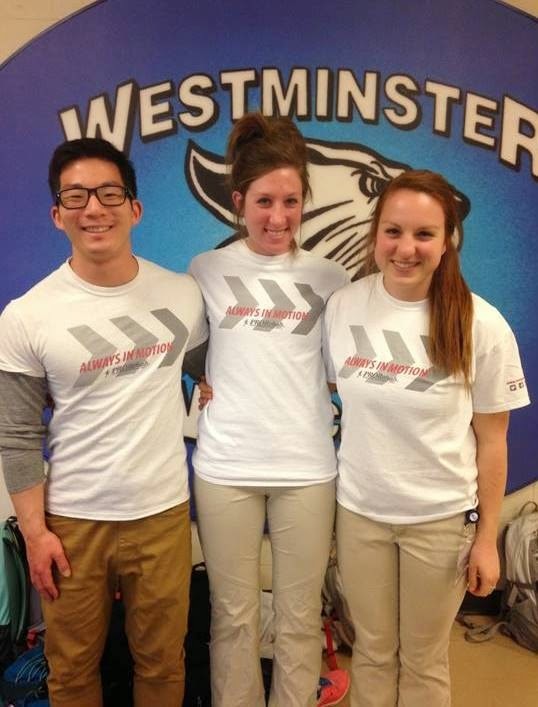 We are very fortunate to have been placed at Westminster Christian Academy for our spring clinical rotation. Our clinical education experience has been unique in that we have an all-SLU Athletic Training workforce. 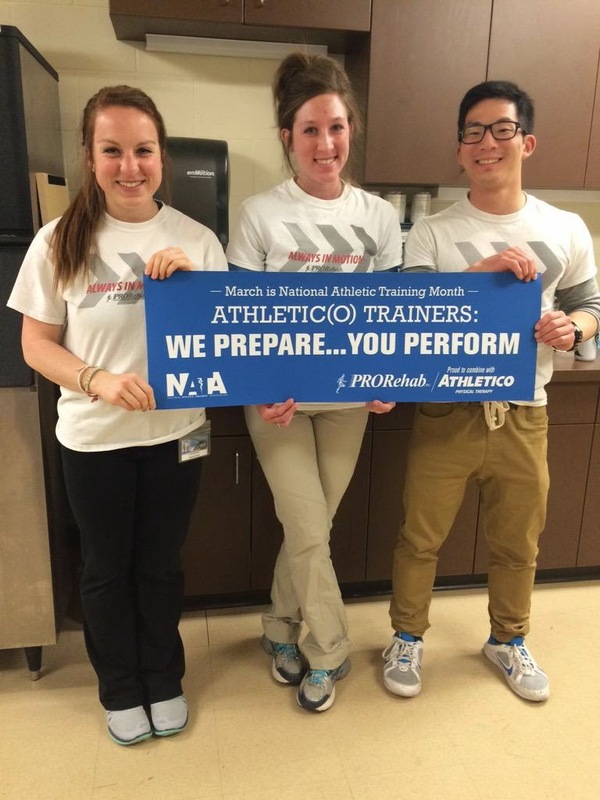 Ju is a PY2, Rachel is a PY1, and our preceptor, Hilary Orf MAT, ATC graduated from the SLU AT program in 2013. Having a preceptor who shares mutual experiences with her students has been extremely beneficial because she understands our course loads and how our classes are taught, and she is familiar with the program layout and its faculty. She is a great resource for questions not only about academic material but also about how best to prepare for the BOC exam and what to expect with graduating and the job search. If ever there is down time (which is rare) Hilary asks about what we are learning in class and she is extremely willing to explain concepts and help us practice evaluations and techniques on one another. This has provided us with many opportunities to learn from each other and keep our knowledge sharp. The busy, fast-paced environment at Westminster never fails to keep us on our toes. Once the school bell rings at 3pm, we can expect to work up a sweat trying to keep up with the steady stream of students coming in and out of the athletic training room for taping, stretching, and rehab exercises. And just when it seems like there may be time to take a breather once practices get under way, more athletes come through the door in need of injury evaluations. Since the beginning of the spring sports season, we have been trying to get outside to enjoy the weather and make sure our athletes are staying healthy out on the fields. But we have been so busy caring for injured athletes in the athletic training room that this has proven difficult. Something is always going on, and there is always someone who needs something from one of us. This is not a problem, however, because days like those provide us with increased opportunities to practice and enhance our skills. Hilary fully involves us in the injury evaluation, rehab, and documentation processes. She often has us gather a history and take a look at an injury before she does, so that we can practice those skills as well as form a potential diagnosis to discuss. With each athlete we see, we can feel our skills improving, and that can largely be credited to Hilary and the learning environment she creates at Westminster Christian Academy. Our questions often lead to lengthy discussions from which we all benefit. We are extremely thankful for our clinical experience at Westminster and we look forward to the upcoming games that will officially kick off our spring sports season.